June 4, 2017 / Steve M.
Its been a long time since I listed a Clandestine Losfeld, and one that I had not seen before, the artist is familiar, in that he did the illustrations for another Clandestine Losfeld – “L’ Envoutement”, which is listed elsewhere on this blog, as is another non Losfeld title by the same author Isidore Isou. A classic clandestine production, I particularly like the reference to the book being produced in a cemetery. Quite apt for a book with such a strong anti-clerical theme. As always my thanks to Pat Kearney for permission to use his bibliographical information. 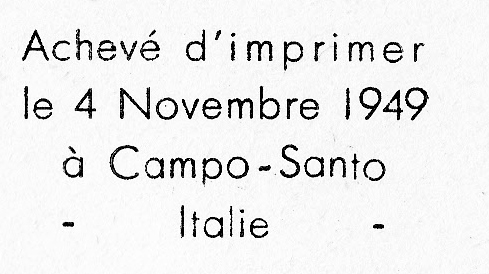 [ISOU, Isidore] Hervé Lavenue. 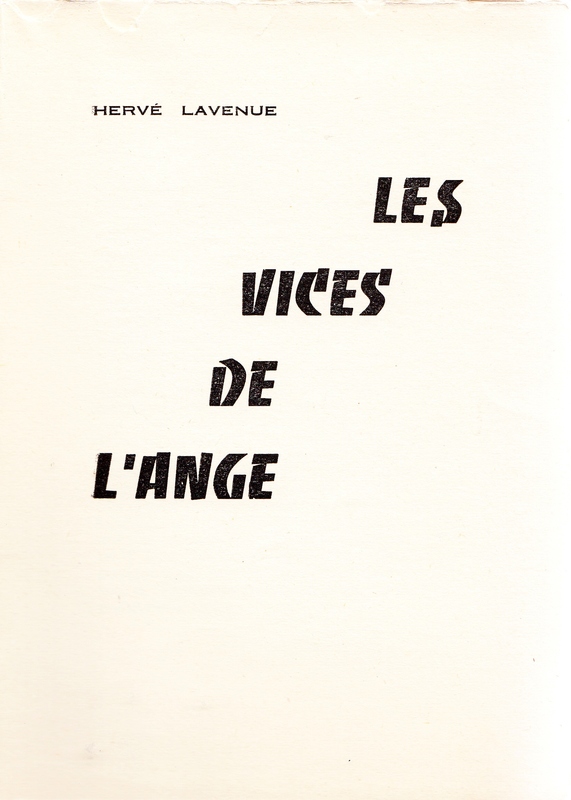 Les Vices de l’ange. n.p., n.d. [c. 1958.] 8vo. pp. 122. 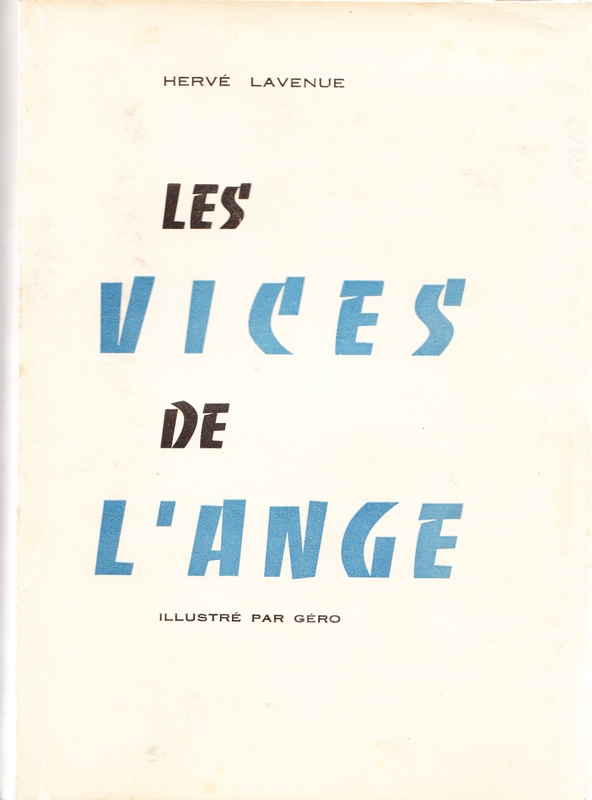 Twelve illustrations by Géro . [Dutel, 2605.] Prosecuted in February 1961.